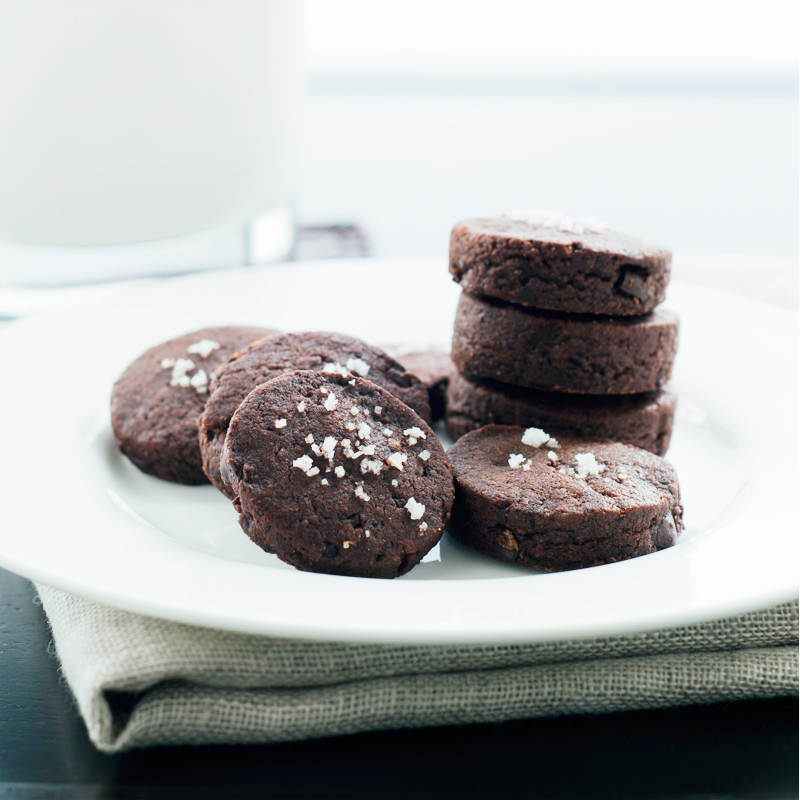 This recipe is so easy it seems hardly worth a blog post, but deserves it still. It goes way back for me. When I was in college in New York City (a million years ago!) I waited tables at a french restaurant called Les Tournebroches. It was a French provincial style restaurant with simple but elegant meals. It featured a grill and chicken rotisserie as a focal point in the main dining room, with lovely raspberry and apple tarts on display. It was such a new experience for me, I had never worked, or dined, in such a unique place. This Endive Salad is one of the dishes they had on the menu. I’ve changed little. I think they used Roquefort cheese, but the dijon vinaigrette is the same and this is how they would present it. It’s so simple, delicious and pretty. You can of course add toasted nuts, apples or pears, but this stands on its own just like this. Trim the end off of each of the endive. 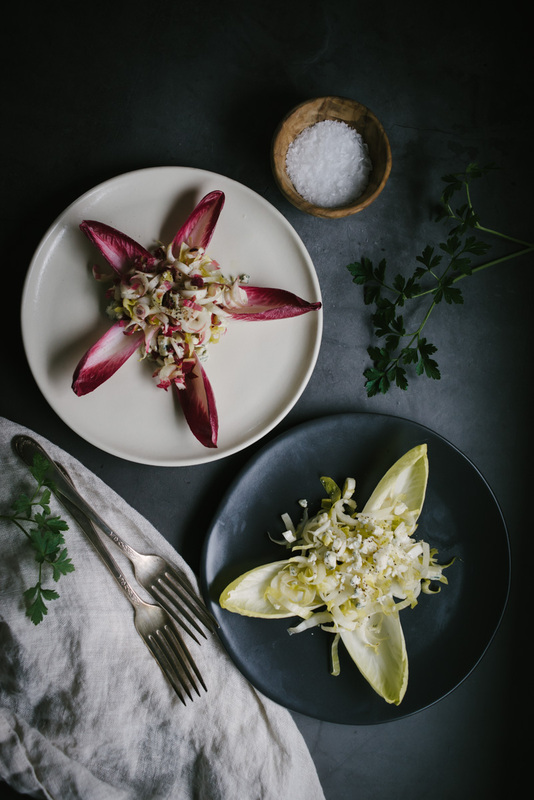 Peel off 3-5 of the outer leaves for each plating depending on size, then slice the remaining inner portion of the endive very thin (discard the tough ends). In a small bowl whisk together the mustard and vinegar, and whisk in the olive oil a little at a time until well combined, add a bit of salt. 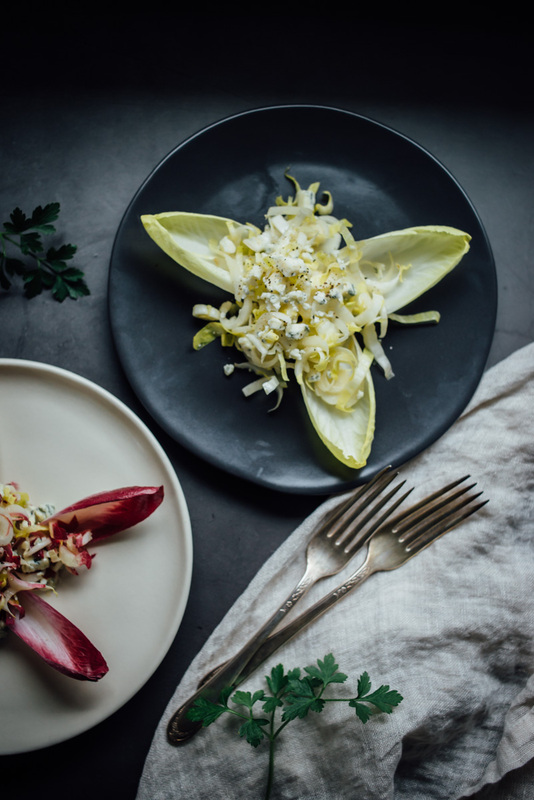 In a separate bowl add the chopped endive, vinaigrette* and cheese, toss to combine. 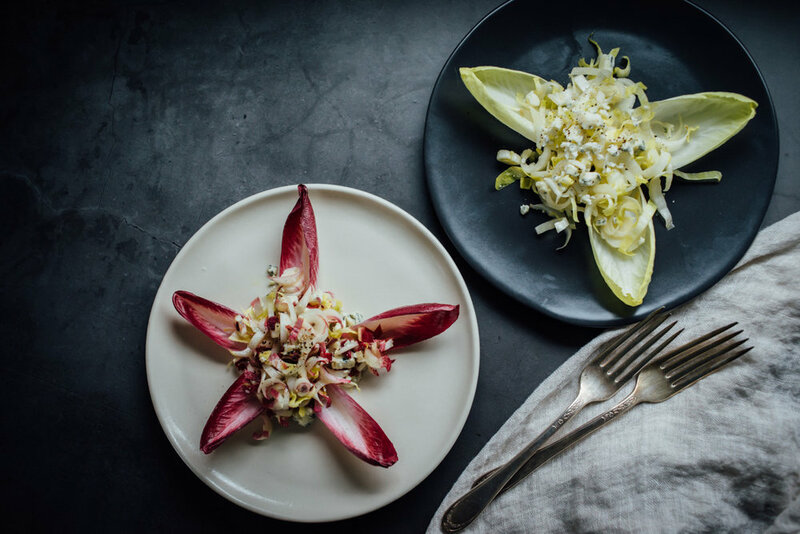 For each plate arrange the endive leaves in a star-like pattern, with 3-5 leaves, then fill the center with the chopped endive mixture. Top with a bit more blue cheese and fresh ground pepper. 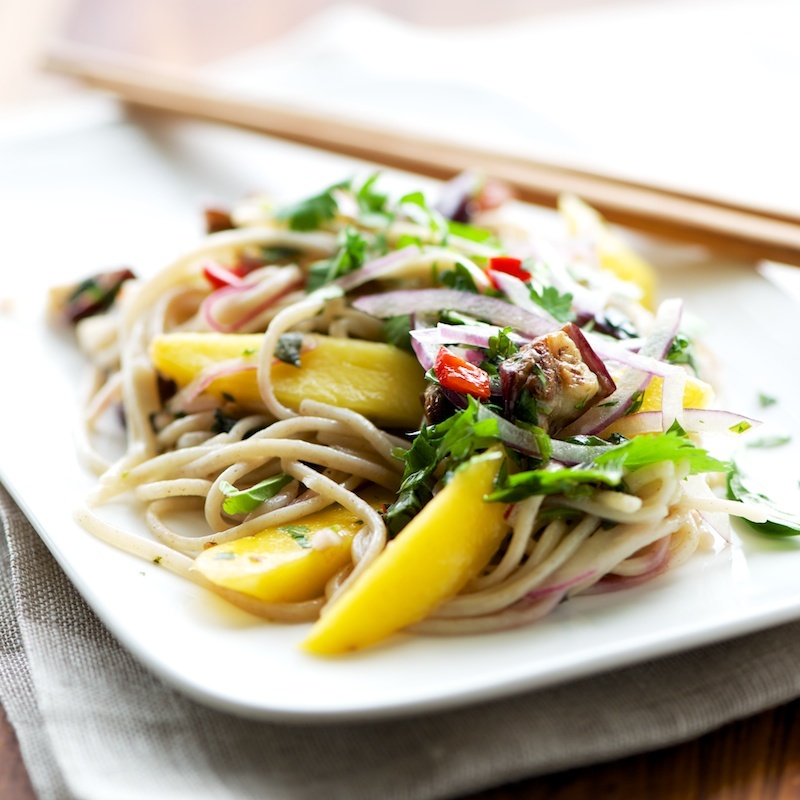 You can serve immediately but this will hold up in the refrigerator, wrapped, for a few hours. *Add as much vinaigrette as you see fit, the amount will vary greatly depending on the size of the endive. The endive I have here are from Trader Joe’s and they are small, you might find larger ones in your grocery store, I ended up with a lot of extra dressing for 3 small endive.